We are putting the power of research to work from one corner of our state to the other. In 2013, we released statewide research on the status of women and girls in Colorado that includes a look at a variety of indicators. This research informs our work finding innovative and meaningful ways to advance women in all facets of life across our state. In preparation for this project, we conducted a listening tour and worked with research organizations throughout the state of Colorado to assess the extent to which current research initiatives were using a gender lens and covering key issue areas of concern to Colorado’s women and girls. The results of our research – The 2013 Report on the Status of Women and Girls in Colorado – were shared during our 2013 Research Summit held June 12, 2013 at the University of Denver. 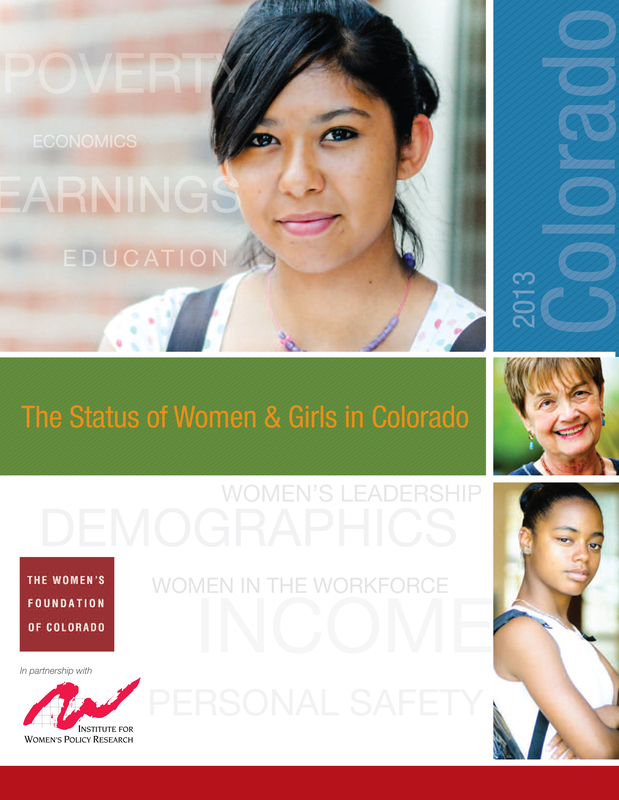 This report is the most comprehensive research commissioned to date by The Women’s Foundation of Colorado. We partnered with the Institute of Women’s Policy Research to create this report. The Status of Women and Girls in Colorado aims to provide reliable data to help empower communities across the state to build on the successes of women and girls as well as effectively address the diverse needs and realities of their lives. This report addresses this need by analyzing how women and girls in Colorado fare in five topical areas that profoundly shape their lives: economic security and poverty; employment and earnings; educational opportunity; personal safety; and community leadership. We will use this research to inform the focused and strategic work of The Women’s Foundation of Colorado, and it is our intent for this report to be a valuable resource to our communities in every corner of the state. Download a copy of the full 160-page report here or the 20-page Executive Summary here.